Nathan Fillion är en skådespelare. Han föddes i Edmonton, Alberta, Kanada den 27 mars 1971. 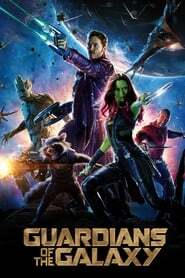 Han är känd för bland annat Guardians of the Galaxy (2014), Rädda menige Ryan (1998), Percy Jackson: Monsterhavet (2013), Monsters studentliv (2013) och Serenity (2005). Huvudbild: Nathan Fillion. Foto via The Movie Database. Född 1971-03-27 (48 år sedan) i Edmonton, Alberta, Kanada. Vad du tycker om Nathan Fillion? Starta en diskussion om Nathan Fillion med dina vänner på Facebook eller Twitter! Nathan Fillion (born March 27, 1971, height 6' 1½" (1,87 m)) is a Canadian actor, currently starring as Richard Castle on the ABC series Castle. He is also known for his portrayal of the lead role of Captain Malcolm Reynolds in the television series Firefly and its film continuation Serenity, and to a lesser extent for his regular role as Johnny Donnelly on the sitcom Two Guys and a Girl.